As the American Academy of Orthopaedic Surgeons’ annual meeting wrapped up in Las Vegas this weekend, several trends emerged at the forefront of the field of orthopedics. Researchers presented studies regarding opioid usage among surgery patients alongside innovations in the area of robotic surgery and growth areas for artificial intelligence. In the end, many of these transformations represent huge opportunities for the improvement of patient care. The U.S. is currently in an opioid epidemic. Despite representing just four percent of the global population, some studies have found 80 percent of opioid prescriptions worldwide come from the U.S. More than half of those who misuse prescription opioids gained access from friends or relatives with a valid prescription. Often, prescribed opioids are found to be the gateway to dangerous narcotics, such as heroin. These prescribing habits have had dangerous results. In 2017 alone, there were more than 47,000 opioid-related deaths nationwide. Of these, 40 percent involved a prescription. While opioids are an important part of pain management, improper prescription and use—by physicians, patients and others with access—places patients at risk of poor outcomes, overdose, addiction and death. Orthopedic surgeons are the third-highest prescribers of opioid medications in the U.S., yet postoperative prescriptions vary widely between providers. For example, in studies around total hip arthroplasty (THA) and total knee arthroplasty (TKA), the median number of opioid pills prescribed was 90, but ranged from 10 to 330. Further, most patients do not take all the pills they are prescribed. In fact, for upper extremity surgery, up to two-thirds of prescribed pills are not consumed. Another major cause for concern is the fact that more than 90 percent of patients do not properly dispose of excess pills. Optimizing pain control after common procedures should be a priority for orthopedic surgeons. This practice includes individualizing the number of pills prescribed to each patient after surgery to minimize opioid overprescription where possible while maintaining adequate pain control. It also involves additional steps in educating patients and other providers in proper opioid disposal. One way to mitigate issues of overprescription is to evaluate each patient individually through enhanced recovery protocols. By following these personalized pathways and procedures during the discharge process, surgeons can begin to customize and track opioid usage by recovering patients. Computer-assisted surgery (CAS) can mean a number of different things ranging from computer-assisted navigation and fully-automated active robotic systems, to semi-active robot-assisted technologies and surgical simulation systems. Use of CAS is increasing rapidly, with 17 percent of surgeons practicing some form currently, according to a statewide database study. CAS has proven adept for particular orthopedic applications, including TKA, where proper alignment and soft-tissue balancing can make or break success for the implant. In non-CAS TKA procedures, 30 percent of implants are placed in an improper position. In spine surgery, where placement of pedicle screws is crucial for avoiding nerve injury, up to 42 percent of screws are improperly placed in cases which do not use CAS. In addition to placement benefits, small studies have shown that patients who undergo CAS have faster recoveries and may be discharged from the hospital sooner. While these early results show promise, more long-term studies on improvement in outcomes are needed to evaluate CAS’s overall benefit. Further, cost-effectiveness studies and analysis of the learning curve required for CAS adoption will also be necessary in the future. CAS has many potential benefits. If done efficiently and in a cost-effective way, CAS has the opportunity to improve patient outcomes, the value of care and surgeon performance. Currently, however, surgeons face a steep learning curve when practicing these new procedures, and since adoption is not yet widespread, costs can remain prohibitively high. Finally, there is limited data on short- to mid-term patient outcomes on traditional procedures versus CAS. Reducing barriers to new technology is a healthy way to deal with the introduction of new techniques. Leveraging a data-driven approach throughout adoption enables your surgical team and administration to understand the effectiveness—both in terms of patient outcomes and cost—of new procedures and practices. A hot topic throughout tech, AI has not escaped use in medicine. Though currently in its infancy, this technology is starting to play a role in areas such as CAS and radiography. In fact, in the case of radiography, a recent study found AI programs to be 90 percent as accurate as orthopedic surgeons in evaluating fractures. For CAS, it can assist in improving the aforementioned alignment issues with the potential to improve patient outcomes. AI is an attractive area for growth because it means greater potential for surgeons to make the right diagnosis and determine the right treatments from the outset. One of the key advantages of this technology is the ability to leverage large amounts of data to create an informed decision. AI provides that analysis, enabling surgeons to interpret the analysis to support patients. While not a replacement for physicians, AI is an important supplement in assisting surgical staff. One of the key challenges facing this area is that, despite its inherent ability to capitalize on data, there is not much information surrounding AI itself and its short- and long-term effects on patient outcomes. In addition, as is the case with many data-rich technologies today, one of the key challenges facing AI in medicine is protection of privacy and security of information. To be effective on a large scale in medicine, physicians need more research into this innovation— especially in how to implement this new technology in practice. From a practical perspective, AI is only as successful as the data put into it. Because AI does not produce data itself, improved accuracy means a more accurate data stream. As an actionable step, surgeons and administrators can work to identify the data needed to build a successful program, and the acquisition strategy needed to obtain it. These transformations, and many more, present major opportunities to lead the way in improving patient outcomes. 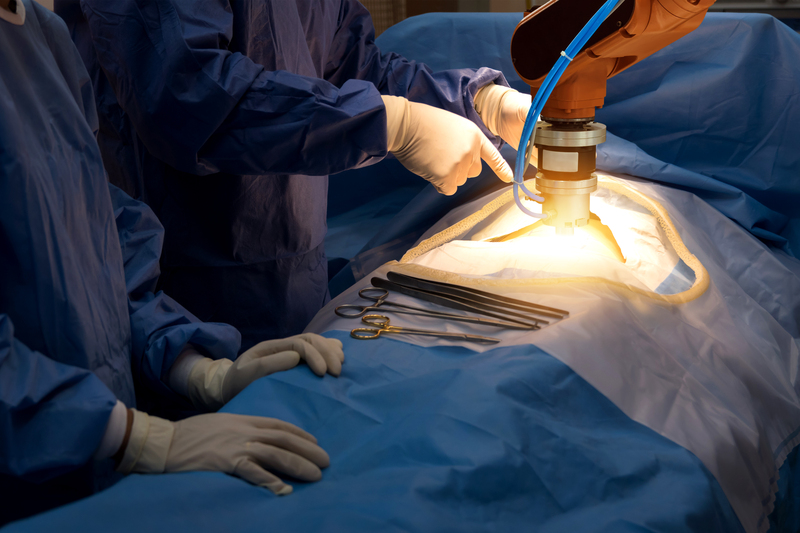 From improving prescribing methods to re-evaluating robotic surgery to adopting AI as a viable addition to the surgical team, orthopedic surgeons have exciting new methods to improve patient care moving forward. We’d love to partner with you as you work to improve patient outcomes every day. ExplORer Surgical is a cloud-based software platform which provides workflow management for even the most complex surgical procedures. You can use ExplORer from any web-enabled device.